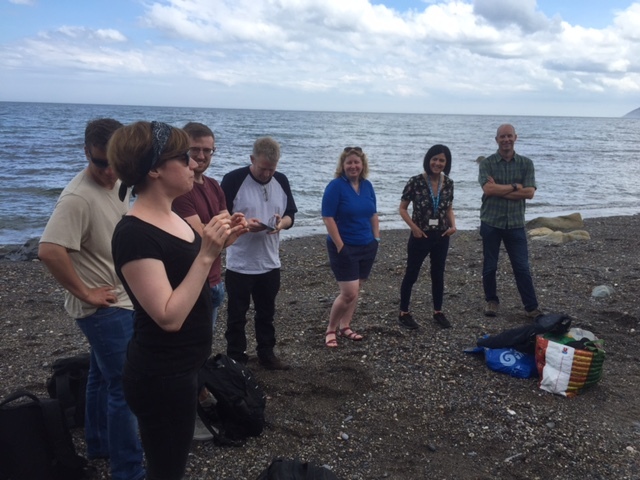 Marine specialists gathered at Killiney Beach this week to give an insight into their work and raise public awareness of our coastal environment. The event was hosted by UCD Earth Institute, together with Dun Laoghaire-Rathdown County Council and several local environmental groups. Attendees had an opportunity to meet marine and coastal experts and to get a close look of how Irish scientists are monitoring bathing water quality, learn about the role of computer simulations in protecting the coastline from flooding and to hear about marine life found along Dublin’s coast. Professor Tasman Crowe, Director of UCD Earth Institute said that the UCD research community is participating together with local councils in a range of projects to help manage such the “valuable resource” of Ireland’s coastline. “We’re delighted to be able to share the fascinating stories from our research with local communities and learn how they engage with the coastal environment,” added Mr Crowe. Dr Nicole Beisiegel from UCD’s Wave Research Group said that 40 per cent of Ireland’s population are living within five kilometres of the coast and should have an understanding of how extreme waves form and cultivate in an ocean. “Working with the public and increasing ocean literacy is important because it can have a direct impact on people’s lives and decisions they make,” she added. 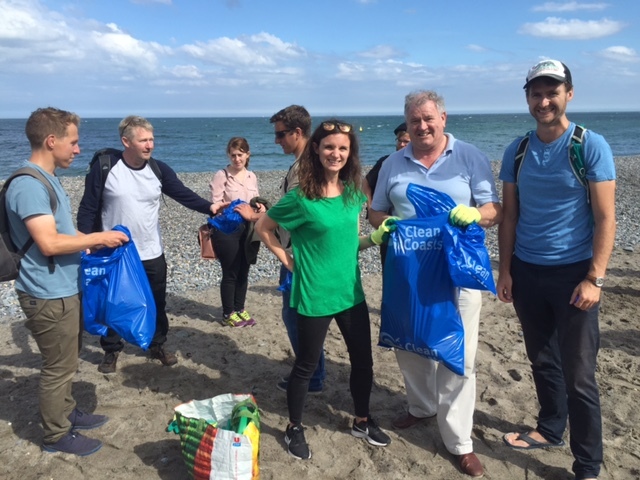 Attendees were also invited to play their part in maintaining Ireland’s marine environment by joining the team in a beach clean-up. Plastic bottles were found at over 80 per cent of all coastal sites surveyed during the latest All-Ireland Coastwatch Survey on coastal waste and marine litter. Over 170 species of marine megafauna have been recorded to ingest plastics with an estimate of one million seabirds and 100,000 marine mammals being killed each year by plastic ingestion and entanglement. A recent report from Irish Wildlife Trust (IWT) revealed that almost 50 marine species of fish, crustaceans, shellfish and other invertebrate are under the threat of extinction, together with the five types of seaweed. The report outlined some of the biggest threats to marine, such as overfishing, damaging fishing practices and plastic pollution. The recent report by the New Economic Foundation showed that Ireland has raised its fishing quotas over the scientific advice.